New Yorkers Lindsay and Tim created the ultimate camp chic experience for their out of town guests, with thoughtful attention to every last detail. They combined their last names Bello and Martin to create Camp BelloMartin, the theme of the weekend for all stationery, totes, and even t-shirts, jackets and sweatpants! A camping guide for guests. In the back of the guide was a facebook of all the guests, how they know the bride & groom, where they live, and what cabin they stayed in. Brilliant! The great save-the-date, left, and letterpress wedding invite (that incorporates a map of the camp). Their rehearsal was a traditional square dance. Love Tim's belt buckle. Lindsay's friend Luka designed her rehearsal dinner dress, so we took a few fashion shots on the dock. J was shooting from a different angle, which gives the image a "Where's Waldo" feel of the ceremony procession. The beautiful lakeside setting among the trees. Lindsay and Tim's getaway transportation was a canoe, dragging empty SoBe cans behind it (Lindsay's father started the company). They stopped for a quick twirl on a raft (by J). Meanwhile, guests enjoyed cocktails back at the ceremony site. I love how lush everything is in June in New England! The bridal party, trying very hard to organize themselves. I prefer this chaotic picture to the posed formal. It cracks me up to look at each person's expression and body language. How sweet is this little guy? Lindsay, by the way, made all the bow ties for the men in the bridal party. The flowers were stunning, skillfully assembled by Kate Parker. Love the glowy lanterns. They give great style to an otherwise nice, but plain, camp dining hall. The centerpieces were beta fish. Later in the evening, Lindsay's dad sang with the band (he was very good!). Great glare capture by J. And they danced around champagne bottles that were passed around and chugged! I've never seen that before (by J). It was an incredible celebration, that lasted until the lights came back up. Congratulations, Lindsay and Tim! I hope you had a blast in Turkey and Greece and can't wait to put together an album from your very fun weekend. Thank you for having us!! Hugs! ps- Loved seeing your announcement in the New York Times! Jen and Matt were planning a September lakeside wedding but an Oops! pregnancy pushed their wedding up a few months. Jen, now 5 months pregnant, looked radiant in her "tent dress" as she called it (don't worry, Jen, we'll take photos in your "real" dress for your anniversary!) despite the 90+ degree temps! The gazebo is a beautiful spot for a garden ceremony (captured by J). The blooming flowers and bushes were gorgeous, especially the azaleas (these are azaleas, right? ), just before sunset. J captured this fantastic moment of Jen and her mother starting the procession toward the aisle at the start of the ceremony. Beautiful. Tee hee. Check out the flower girl's expression at the man who is trying to get her attention as she marches up the aisle. And we cannot forget the ring bearer, equally as adorable. Mr. and Mrs. sharing a smooch between slicing. The flower girl took to the stage wiggling her hips. Wonder where she gets her rhythm? That's her mom in the background dancing. Seen here pulling out "the sprinkler," a quick grab by J. Many warm congratulations, Jen and Matt! We're both so happy for you both, and wish you a fantastic summer preparing for your new arrival! Please give me a call once he arrives, as I'd love to capture your love for your little luv, too! Check out these cool, crafty wrap labels that my friends Cindy and Justin used on their wedding invitations! Cindy, not crazy about her penmanship or calligraphy, spotted a template on Martha Stewart for this modern look. I love it! And friend Meredith Purdue captured the image used as their customized photo stamp! 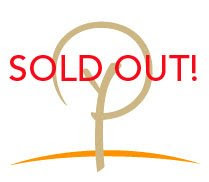 I am thrilled to report that the Roots Workshop has sold out! We have 14 amazing photographers coming from all over the U.S. (and even Canada!) to stay for a week on Cape Cod next month! It promises to be an exciting, fun experience of growth and enlightenment! As many of you know, the annual WPPI (Wedding & Portrait Photographers International) convention in Las Vegas is a very special event as it is where I met J in person for the first time in 2006 (he was my account rep at Pictage for the three years prior). The convention attracts more than 11,000 wedding and portrait photographers from around the globe for a week of workshops, seminars and the biggest tradeshow you've ever seen. Vegas is the perfect setting to network and socialize with all the creative types. Well, earlier today I received an invitation to lead a master class at next year's convention!! Being a master class instructor is a huge deal and I am beyond honored to be asked (of course I said YES! right away). Participants pay extra to attend a master class in a small group for a 2-hour session. Photographers: I don't yet know the details of the exact date (sometime between February 14-19, 2009), but I'll be sure to keep you posted of the details if you are interested! Erika and Mark's seaside nuptials at the beautiful Spruce Point Inn were lovely, even tho heavy fog kept the stunning views under wraps. I have photographed many weddings at SPI, so each time I go I try to find something new and different. I spotted these mini plates on the bikes for the inn's guests and thought it was a perfect detail for a destination Maine wedding. After having her hair and make-up done, Erika and her bridesmaid head to the room to get dressed. Admiral's Quarters is my favorite room to photograph a bridal party's preparations. There is a lot of beautiful natural light, and plenty of space for everyone to spread out. The two flower girls are cousins, but acted much more like sisters. They did their best to behave and sit quietly inside before the ceremony. Soon after the ceremony, Erika and Mark ditched their formal shoes and opted for flip flops. Erika's sister took plain, J Crew white flip flops and glued Swarkovski crystals to them for Erika! Erika really wanted an Adirondack chair photo. It was so sad that you couldn't differentiate the sky from the water in front of them! There were many sea-themed details, including the wedding rings presented in a shell. The cake by Sweet Sensations had edible shells decorations, and the sand on the table was actually sugar! Erika's mom quilled their wedding invitation. Pretty amazing, isn't it? I love a good laughing toast photo! The flower girls were inseparable at the reception. Too cute! Congratulations, Erika and Mark! Thanks so much for making me feel so welcome at your wedding. I already miss your families! I can't wait to hear all about your honeymoon! Come back and visit when you are in Portland anytime!